BD555 is designed and tested to meet Military Standards 810 C,D,E,F and G, including temperature shock, vibration, high & low temperature and humidity. IP54 dust- and water-proof design guarantees the reliability in different environments. DMR digital radio with good performance of anti-interference, providing purely stable communication. BD55X can support both analog and digital modes on the same hardware. You can switch between two operation modes very easily and it helps you to communicate with analog radios. BD55X can detect the signal type when receiving a call, then automatically switches between analog mode and digital mode to get the voice out of speaker. During the call hang time, user can easily reply the call by push-to-talk. This is a real migration technology from analog to digital. 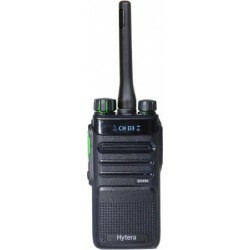 Based on Hytera innovative technology, extremely extend your talk range. Based on TDMA technology, BD55X in digital mode can work as long as 16 hours in 5-5-90 mode. 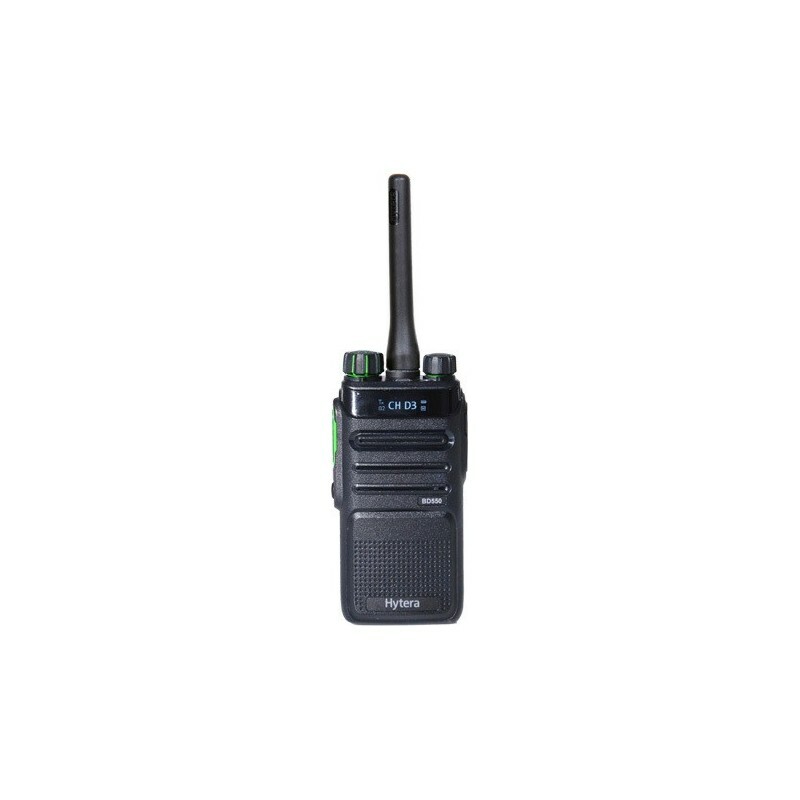 Excellent audio quality comes from the DMR digital technology,which makes the communication more reliable. BD55X is compliant with MIL-STD-810 C/D/E/F/G and IP54. Adopted digital encoding and error correcting module, BD55X can have a better ability to avoid signal interference on the same frequency. With DMR signaling, transmitting group call, private call and all call with PTT ID becomes quite easy. Utilize a DMR Tier II repeater to extend your communication range. Channel number announcement helps you to switch channels quickly and correctly, even in blindness operation. In direct mode, you can have two voice calls simultaneously from DMR two time slots. This feature can be used to increase the call capacity at no extra costs or frequency license. When using VOX earpiece, this feature allows you to activate the microphone via speaking volume, and free your hand from PTT. Allow BD55X listening to communication activities on other channels.